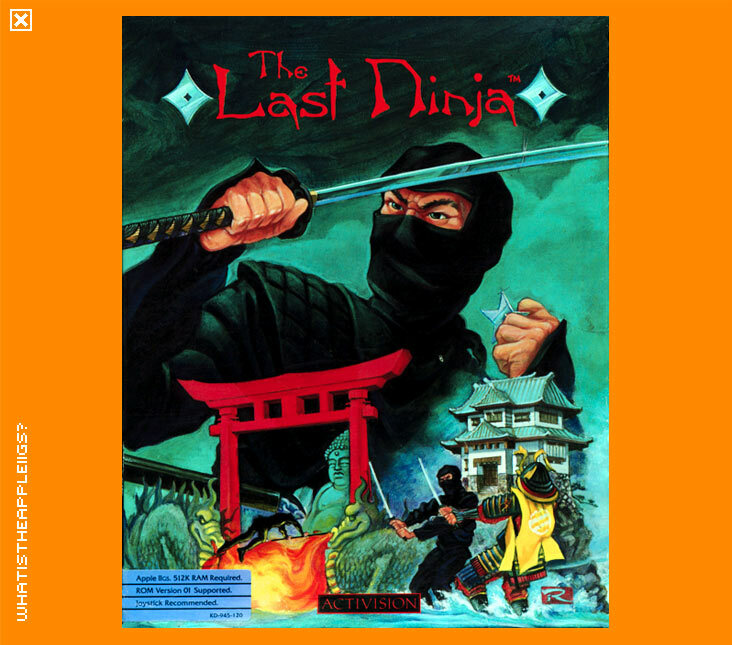 The Last Ninja was converted to the Apple IIGS by Activision, the original game having been created for the Commodore 64 by System 3. It's a shame Last Ninja wasn't as cutting edge (another accidental pun) on the IIGS as it was on the C64. In The Last Ninja you become last of a slaughtered ninja clan, your only purpose now to exact revenge on your brothers' killers. Game play is a mix of action and adventure and it could be said it bears many resemblances to the IIGS masterpiece the Immortal. The action involves sword hacking and the adventure involves finding items and putting them to their proper use. The action is where the game is let down. Theoretically, it's not badly designed. In practise however, it's a nightmare for the simple reason that the controls are complicated and a lot of the time you execute moves that you never intended. Whether this problem can be found in the C64 version I don't know, but it's quite apparent in the IIGS version. Control can be from either the keypad with open-apple as the fire button or joystick, and you can toggle between the two by pressing open apple-J. Control-S will save your current game and Control-R will restore your last saved game. The keypad will move your character in diagonal directions, which is how the game field is viewed also, in an isometric style. Before you go exploring, I suggest you play around with the controls. Remember that movements are relative to the direction your character is facing. Combinations of directional controls with the fire button execute moves for specifically attacking at your opponent's head, torso or legs. To pick up items, the fire button in combination with a down direction is used. Pressing space bar will cycle through your weapons. Somersaults can be achieved as either long or moderate distance jumps. Have fun with them! 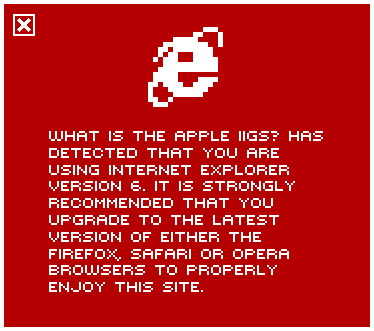 The IIGS version suffered from not only the bad controls, but slightly lack-lustre graphics. The graphics were indeed colourful, but blocky, perhaps being a straight conversion from the C64. The sound is virtually non-existent whilst playing the game, and unlike the C64 version there is no in-game background music, although music is played at the intro of a new chapter. Activision had started on a high note with some great GS games in 1986 and 1987, but The Last Ninja didn't quite carry on the standard in 1988.